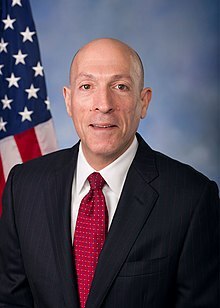 The Sergeant at Arms of the United States House of Representatives is an officer of the House with law enforcement, protocol, and administrative responsibilities. The Sergeant at Arms is elected at the beginning of each Congress by the membership of the House. In one of its first resolutions, the 1st Federal Congress (April 14, 1789) established the role of Sergeant at Arms of the United States House of Representatives. The Sergeant at Arms is also responsible for ensuring the safety and security of members of Congress, congressional staff, visiting dignitaries, and tourists. Toward this mission, the Sergeant at Arms works in concert with the Senate Sergeant at Arms, and the Architect of the Capitol. These three officials, along with the Chief of the Capitol Police in an ex officio status, comprise the Capitol Police Board. Sergeant at Arms Wilson "Bill" Livingood announces President Barack Obama at the 2011 State of the Union. Through custom and precedent, the Sergeant at Arms performs a number of protocol and ceremonial duties. Among these duties are to lead formal processions at ceremonies such as presidential inaugurations, joint sessions of Congress (such as the State of the Union address, prior to 2007), formal addresses to the Congress, greeting and escorting visiting foreign dignitaries, and to supervise congressional funeral arrangements. In this capacity, the Sergeant at Arms is most famous for announcing the arrival of the President, a responsibility that he took over from the Doorkeeper of the United States House of Representatives when the latter position was abolished in 1995. Custom dictates that he announce the arrival of the Supreme Court, the President's cabinet, and finally the President by saying, "Mister (or Madam) Speaker, the President of the United States!" For daily sessions of the House, the Sergeant at Arms carries the silver and ebony Mace of the United States House of Representatives in front of the speaker in procession to the rostrum. When the House is in session, the mace stands on a pedestal to the speaker's own right. When the body resolves itself into a Committee of the Whole House on the State of the Union, the Sergeant at Arms moves the mace to a lowered position, more or less out of sight. In accordance with the Rules of the House, on the rare occasions when a Member becomes unruly, the Sergeant at Arms, on order of the Speaker, lifts the mace from its pedestal and presents it before the offenders, thereby restoring order. The Sergeant at Arms also performs administrative services in support of the Members, staff, and visitors associated with the security and other operations of the House. If a quorum is not present, those Representatives who are present may vote to order the Sergeant at Arms to try to round up absent Representatives. In addition to serving on the Capitol Police Board, the Sergeant at Arms served with the Senate Sergeant at Arms and the Architect of the Capitol on the Capitol Guide Board. This board oversaw the Capitol Guide Service, which provided tours of the Capitol to visitors and special services to tourists. The Deputy Sergeants at Arms act as assistants to the Sergeant at Arms. The Sergeant at Arms has the duty of making the important decisions under his/her power, while the Deputy Sergeant at Arms often executes the decisions. The Deputy Sergeant at Arms serving under Paul Irving is Timothy Blodgett.